In the end, a good time-location-diagram does not indicate what data and paths were needed to make the process so simple and clear to present. When creating the chart, there are many details that complicate the planning: Necessary data is not always available with sufficient detail. Where do I get the data from and how do I input this data efficiently into the program? Meaningful conditions must be created for the plan to function and be well presentable. Mostly ther is not enoght time for preparation, sometimes the software expert is missing. Often the experience is missing, what and how the software tool is working. And how do I present planning details without overloading the chart? I do not have the time or the employee to create and edit the time-location diagram. I have a schedule in MS-Project / Primavera / Powerproject and I have to create a linear schedule / a time-location-diagram. My client demands special results and presentations in the linear schedule. How can I achieve this? What is the effort? I need advice and training related to my specific project: Training-on-the-Project. Planning requirements, master plans and planning communication are to be defined for a large project. What is there to pay attention to here? I am to revise an unknown Tilos project: How do I act effectively? I would like to get used to those parts of Tilos that I really need now. I would like to have myself or my colleagues trained in Tilos. I am looking for someone who will introduce me quickly and individually to the application Tilos. I have to transfer data to different planning systems. I am looking for a person with Tilos-KnowHow in a project. I need an English speaking Tilos trainer / Tilos consultant on site. 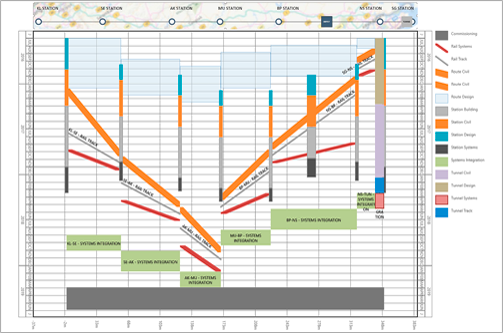 Layout and creation of special and individual time-location-diagrams / Linear schedules or other special planning presentations: Individual context-related schedules. 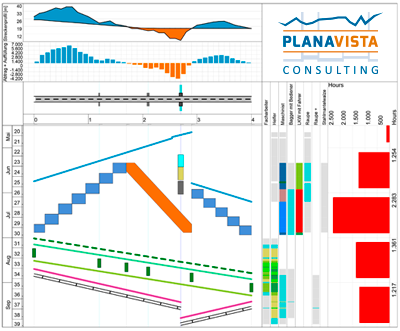 Specialized in the presentation of linear schedules and in time-location-diagrams. 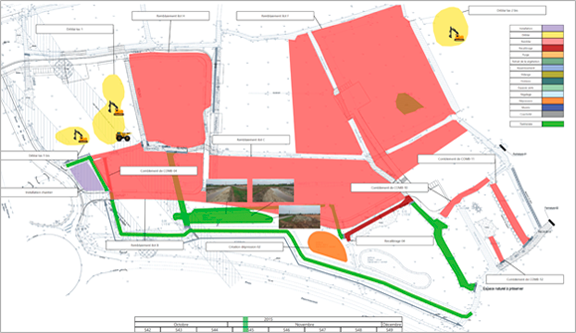 Many years of practical experience in the use of software for planning of infrastructure construction sites. Tilos software skills at developer level. Demanding and individual, project- and customer-related work. 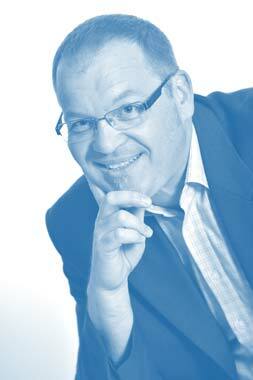 Your benefit is a result tailored to your needs in which you can contribute your ideas. Goal: Long-term cooperation through satisfaction. In which countries do we work? We offer our service in German in Germany, Austria and Switzerland. In the neighboring countries, e.g. The Netherlands, Denmark, Belgium, Sweden we advise and train in English.